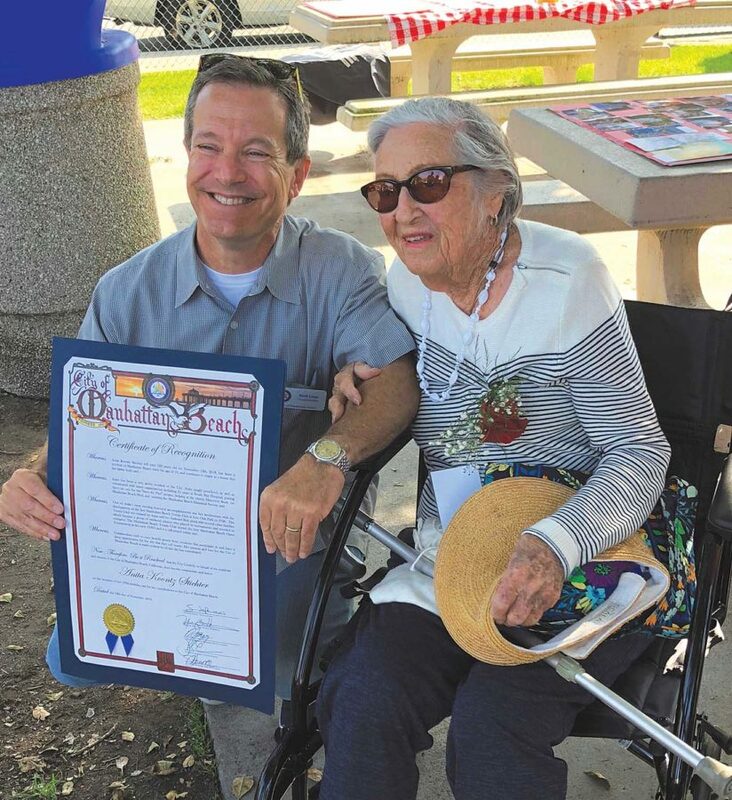 Manhattan Beach resident Anita Stichter turned 100 last week, an event marked by a celebration of her life at Live Oak Park. City Councilmember David Leader awarded Stichter with a certificate of Recognition from the City. She is the longest living resident of MB (90 years) and has served in numerous charitable and service groups in the South Bay. Anita and her husband Bob were founding members of the first MB Tennis Club (public) at Live Oak Park in 1948, and for her birthday she received a plaque honoring that lasting contribution to the city. From knitting blankets for hospitalized babies and creating accessory kits for women going through chemotherapy, the Community Mitzvah Fair on Sunday, Dec. 9, at Congregation Tikvat Jacob in Manhattan Beach will give children and adults hands-on opportunities to give back to local organizations. “Judaism commands us to recognize our blessings and express our gratitude by giving to those who are in need. The Congregation Tikvat Jacob Mitzvah Fair will hopefully be a meaningful resource to provide opportunities for those looking to help,” said Rabbi Joshua Kalev of Congregation Tikvat Jacob. The organizations include Chemocessories, 1736 Family Crisis Center, Habitat for Humanity, and the Cedars Sinai Bloodmobile. The event will take place from 11 a.m. to 2 p.m. at Congregation Tikvat Jacob, 1829 S. Sepulveda Blvd., Manhattan Beach. It is free and open to the public. For more information, go to www.ctjmb.org.